DansE MacabrE: Recenzja: Chaos Legionary Small Banners od Kromlech.Reviews: Chaos Legionary Small Banners from Kromlech. Recenzja: Chaos Legionary Small Banners od Kromlech. 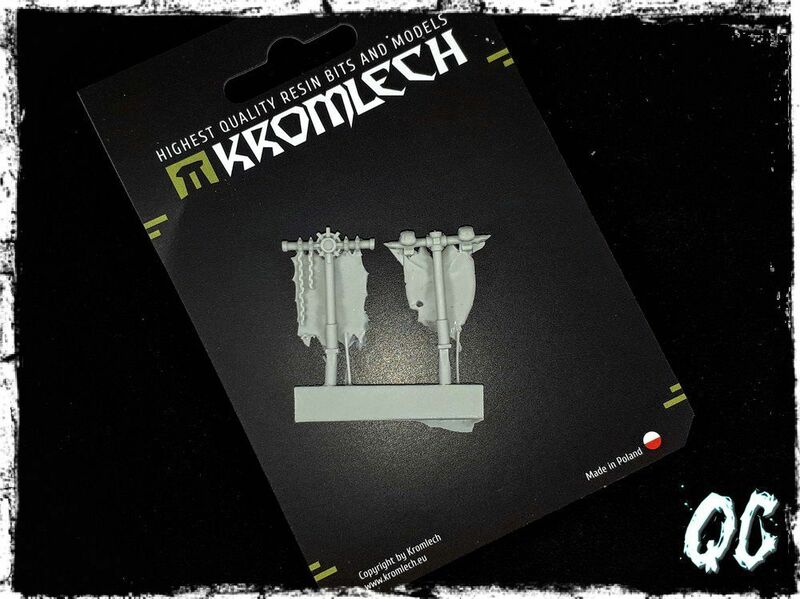 Reviews: Chaos Legionary Small Banners from Kromlech. Więcej informacji na temat produktu znajdziecie na stronie Kromlech. 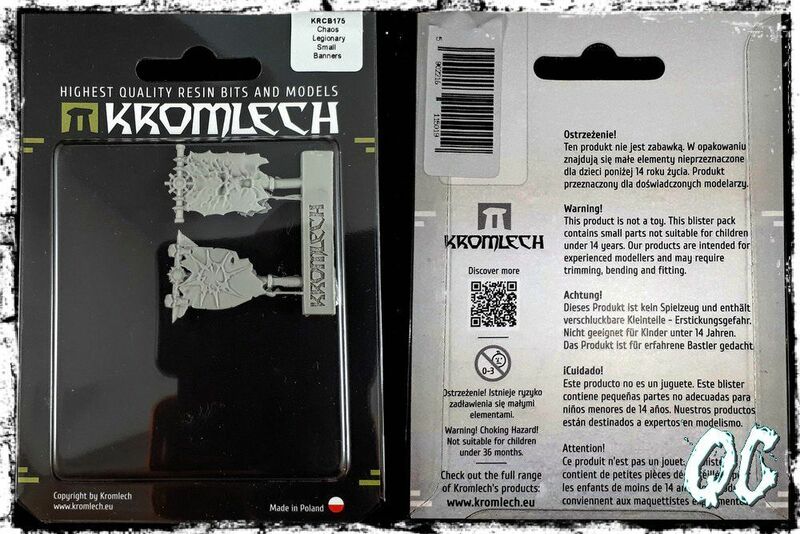 I invite you cordially to another review kit from Kromlech. Chaos Legionary Small Banners set is packed in a transparent blister, inside which there are sprue, as well as a leaflet with information in several languages. Traces remaining after the casting process are easy to remove. The set consists of 2 different banners, or actually a pennant, which can be successfully used to valorize figures depicting war machines, soldiers' commanders or to decorate models that bear the mark of Chaos. Chaos Legionary Small Banners are one of the Kromlech, which you could win in the tournament Warheim FS. More information about the product can be found on the Kromlech website.